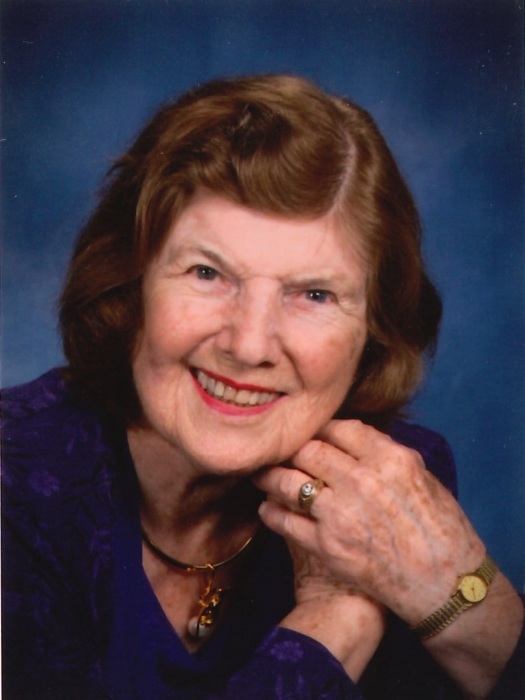 Corrie Elizabeth (Libby) Boney Nicholson Kinnard passed away on February 2, 2019. She was the devoted wife of General Tom M. Nicholson, USA and later the wife of General Harry W. O. Kinnard, USA; cherished mother of Colonel (R) Tom M. Nicholson Jr. (Ginger) of Augusta, GA, Libby Jo Nicholson (Dan Millington) of San Clemente, CA and Janmarie Hall (Bernie) of Augusta, GA. Additionally, she had five grandchildren and fifteen great grandchildren. Libby was born March 2, 1923, and grew up in Blythewood, SC within a large extended family. Her mother, Corrie Elizabeth Stevens Boney, was born in Santuc, SC and her father, Julius Earl Boney in Blythewood, SC. Her parents were leaders in the community and fostered a devotion of service and dedication to family that Libby exhibited throughout her life. She was a star student and athlete in her high school and helped lead her teams to many championships. She graduated from Columbia Hospital Nursing School and shortly thereafter became a Registered Nurse on the “Silver Meteor” of the Southern Railroad Line. This train was the fastest mode of transportation between New York and Miami in the 1940’s. It was on that train during WWII that she met her first husband, Captain Tom M. Nicholson, when he sought her medical advice. He could not get this beautiful Southern lady out of his mind and courted her by having roses delivered to her at every stop the train made between New York and Miami. He won her over and they were married in 1945. Their marriage included many military moves around the world and across the nation. Libby, with her southern charm and caring instincts, supported her husband Tom as he moved through prominent positions in the Army to reach general officer rank. While they were stationed in Virginia, in the early 1960’s, she became a successful real estate agent in the Northern Virginia area and pursued that career into the 1990’s. During these years, she also kept up her athletic skills by being a member of the Army/Navy Country Club’s Woman’s Golf Team. After her husband, Tom, died in 1976, she received a second chance for a loving relationship when she married, General Harry W. O. Kinnard in 1983. By then Harry was retired from the Service but was still very active in Army affairs. Harry was a 1939 graduate of West Point and an expert in matters of Army Air Mobility/Aviation and Airborne operations. This background took Libby and him all over the world as ambassadors for our country. They remained in Arlington, where they both enjoyed golf, bridge and their church, Calvary United Methodist Church, where they were long-standing members. Libby continued her memberships in the Aurora Hills Garden Club and the Army Signal Wives Club as well as the Army/Navy Woman’s Golf Team. She was a strong advocate for keeping the Fort Scott/Aurora Hills community a safe and well-kept place where families could thrive. After General Kinnard’s death in 2009, she filled her life with family affairs and friendships. Remembering her early ties to her home in Blythewood, SC, she visited often and enjoyed seeing the town grow and flourish. An advocate for education all her life, Libby strongly encouraged and supported her children and grandchildren’s efforts in gaining college degrees. We will miss her wisdom and guidance. In lieu of flowers please make donations to Calvary United Methodist Church of Arlington, Virginia. The Old Post Chapel and grave site services for Libby Kinnard will be conducted by Rev. Matthew Smith of Calvary United Methodist Church. Please click the light grey bar marked--SERVICE DETAILS at the top of this page for specific information.